Sharam's unique production style, along with a diverse list of accomplishments in the international charts and underground realms, has solidified him as a true non-conformist and innovator in dance music - both as a solo artist and as part of the legendary group Deep Dish. The Grammy-winning producer continuously reimagines his sound and style, which are rooted in his belief that forward motion is only possible through cross-pollination of styles and influences.Sharam has never been afraid to push the boundaries to their limits, and as DJ Mag put it, "you could never accuse Sharam of re-peating the same trick over and over." As such, the expansive and prolific artist has released two new albums in the past 2 years. 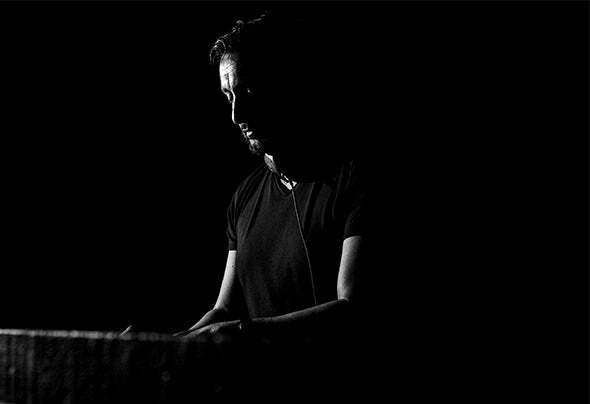 'Retroactive' saw him connecting with all of his musical influences from a storied 20 plus-year career, while his 2017 album 'Collecti' forged Sharam's return to his techno roots with over eighty minutes of blistering and dark original tracks mixed methodically like a compilation album - a feat rarely seen in dance music. It's nothing new for Sharam, who pioneered the 'album-as-mix-compilation' with his debut solo album Get Wild in 2009.His eclectic DJ sets are a journey through sound, with razor-sharp focus to quality and obsessive attention to entertaining both pur-ists and the unassuming. When he's not on the road or in the studio, Sharam is helming his record label Yoshitoshi, proving that after 20 years the classic label is a force for the ages. In 2017, Sharam launched the weekly mix show Yoshitoshi Radio, which features mixes recorded both live on the road and in-studio and guest mixes from Yoshitoshi artists. The program is now syndicated on sta-tions worldwide.In 2018 the veteran producer and DJ will realize more ambitious projects, including the upcoming album Cities, as he refuses to slow a breakneck pace. Sharam, Chance Caspian, Khainz, Wolf Story, Cj Jeff, DJ T.